I think one of the best ways to highlight what we do at ACo is to show you a before-and-after of one of our projects. With a few changes, we can really update and transform a space. 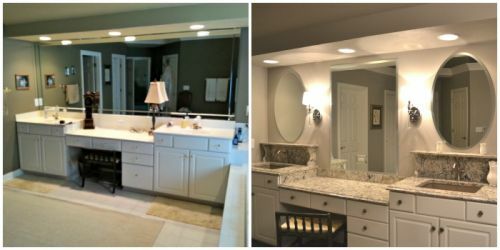 A great example is this recent master bathroom remodel. In this particular project, we worked with designer Agnes Hannah to brighten up a dark bathroom and add some modern touches. One of the biggest changes we made was removing the carpet. The bathroom is directly over the garage, and the homeowners loved the look of tile, but were worried about how cold the floor would be on bare feet. Our solution? Radiant heat flooring. Another big change was the vanity area. We removed the dated and worn cultured marble countertops and installed a lifetime, low maintenance solution that would stand out against the white furnishings. The mirror was changed from one long mirror to three separate mirrors, and we installed small shelved underneath. This looks great and adds some extra storage. 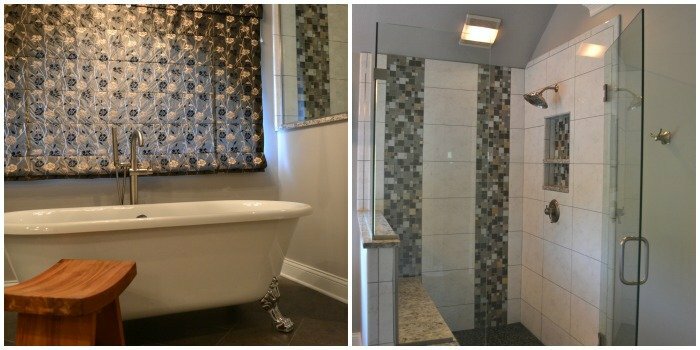 The shower was small and dark, so we created something more open by enlarging the space, switching to clear glass shower doors and including some beautiful tile work. We also replaced the deck tub with a gorgeous freestanding tub. This opened up the space and created a lovely focal point for the room. 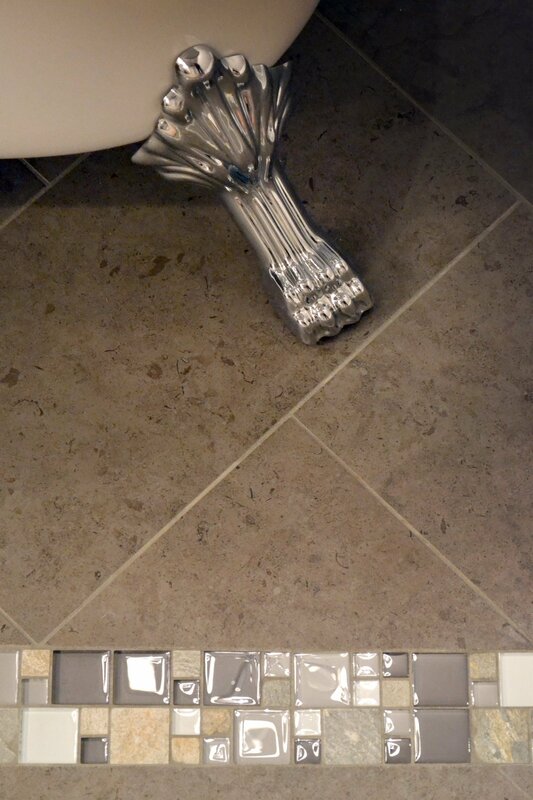 Do you have a master bathroom that’s in need of an update? We recommend coming by our showroom to learn more about your options and what we have available. Even if you’re on a budget, we can help you make changes that will reinvent your space into something stylish and modern. Stop by and see us, and feel free to contact us with your questions. You can also keep up with our latest projects by following us on Houzz.